Bitcoin and other cryptocurrencies are exciting, practical, and more popular than ever. 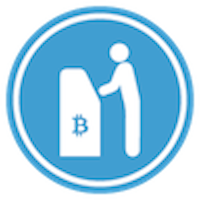 Pelicoin brings the simplicity and convenience of standard ATMs to the fast-paced world of Bitcoin to give users the best possible experience purchasing cryptocurrency. You can convert cash into Bitcoin (BTC), Litecoin (LTC), or Ethereum (ETH) at any of our Bitcoin ATMs. This Mandeville Bitcoin ATM is located at the Discount Zone gas station on Louisiana Highway 22. Cryptocurrencies such as Bitcoin, Litecoin, and Ethereum have risen in value as well as popularity. The price of any given cryptocurrency can fluctuate dramatically, allowing some savvy users to make massive financial gains. It's no wonder Bitcoin and other cryptocurrencies have experienced such increases in value, as cryptocurrency can offer users better confidentiality, sole ownership, and stronger security. There is also an increasing number of online retailers and other establishments that accept cryptocurrency as payment. Pelicoin makes it easy to take part in this financial revolution. Just show up at any of our ATMs, which are installed throughout the Gulf South at friendly, trusted locations open late or 24 hours a day. Our machines operate like any other ATM, except Pelicoin Bitcoin ATMs turn U.S. dollars into Bitcoin, Litecoin, or Ethereum. Head to your nearest Pelicoin ATM and fill your digital wallet with the world's most popular cryptocurrencies today.